Today we will observe the 2:20 bell schedule and have advisories and be dismissed at regular time. With the 2:20 bell schedule, remember 6th hour is before lunch and bring your chrome books with you to advisory!! ALL BACC students, Tech Prep and any students that leave early should report to Mrs. Dowling’s room #103 at the end of 4th hour TODAY! We will have another drawing from the Return-to-Learn box when progress reports are given out today! If you’ve been gone and have returned all your made-up assignments, please have your teachers fill out the sheet in the office and bring back to the office the signed sheet. There will also be a drawing for perfect attendance! Good Luck! BRHS Key Club and Kiwanis Club of Farmer City will host their annual chili supper TONIGHT at the high school from 5-7 p.m. Cost is $5 per person for chili, drink and dessert. Proceeds will go toward community service projects. Come out for some delicious chili - a good deal for a great cause! Students who have read books on the Lincoln Award book list, are encouraged to stop by the library to vote for their favorite between Feb 15th and March 15th. Earn a free meal and be recognized on Honors night in May. Reminder: Students participating in the Read for a Lifetime Program should let Ms. Brokaw or Mrs. Raines know which 4 books they read no later than April 12th. Participants will be eligible to participate in the end of the year lunch celebration and be recognized on honors night. 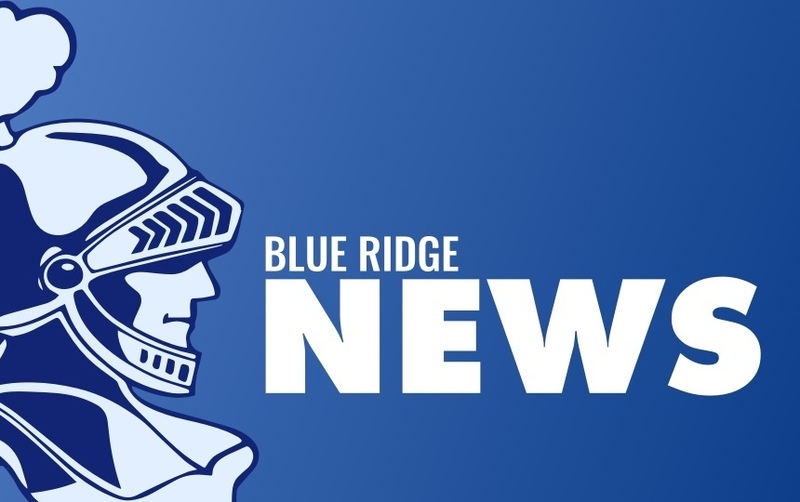 BRHS Key Club and Kiwanis Club of Farmer City will host their annual chili supper at Blue Ridge High School, 411 N. John Street, Farmer City TONIGHT from 5-7 p.m. Cost is $5 per person for chili, drink and dessert. Proceeds will go toward community service projects. Come out for some delicious chili - a good deal for a great cause! Tonight is Senior Basketball Night and Senior Cheer Night! Come and root them on to a WIN!! The game begins at 6pm with the JV and Varsity will begin after that. The Class of 2021 is selling window decals as a Prom/Post Prom fundraiser. Forms are available in the office. Scholastic Bowl is not pictured on the form but you may purchase a decal depicting Scholastic Bowl, just write it in on your form. Decals are available for all Blue Ridge sports/activities! The deadline is February 11th. Congrats to the Varsity Scholastic Bowl team for going 2-0 last night in conference play defeating L.S.A. 270-100 and coming from behind in a thrilling match to defeat Sangamon Valley 310-280 to improve their overall record to 27-8 (4-0 LOVC). The JV won on a sudden death match over Sangamon Valley by Abby Johnson to win 260-250 improving their overall record to 10-13. The Varsity was led in toss-ups by Tyler Maxwell with 12 followed by Luke Nichols with 7, Nadia Beadle with 4 and Mitchell Houser with 1. The Varsity Scholastic Bowl team is back in action tomorrow at the Winnebago Invite with the bus leaving at 5:30 am. Go Knights!